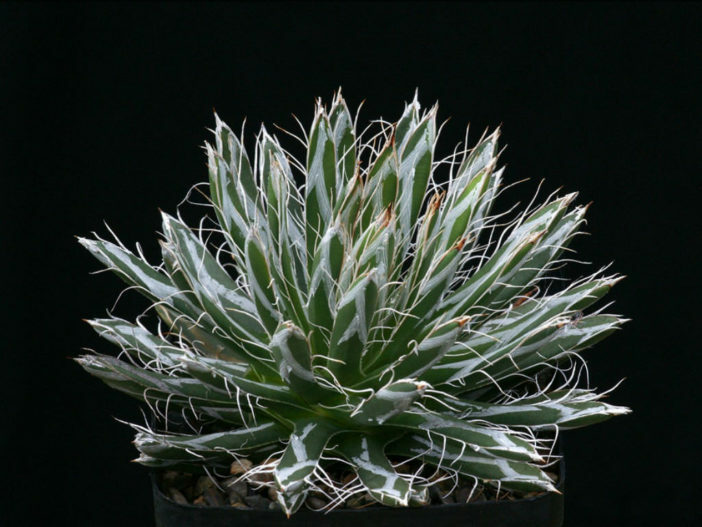 Agave parviflora is a succulent, perennial flowering plant with a small rosette up to 10 inches (25 cm) tall and up to 8 inches (20 cm) wide. 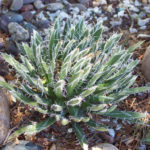 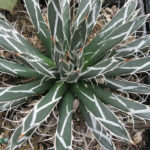 The succulent leaves are waxy, dark green with white markings and up to 8 inches (20 cm) long. 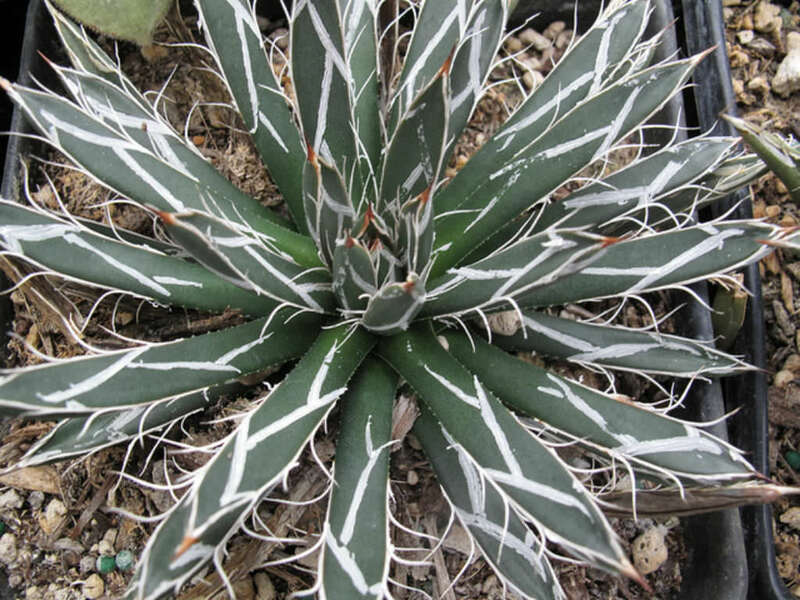 The leaf margins have peeling fibers. 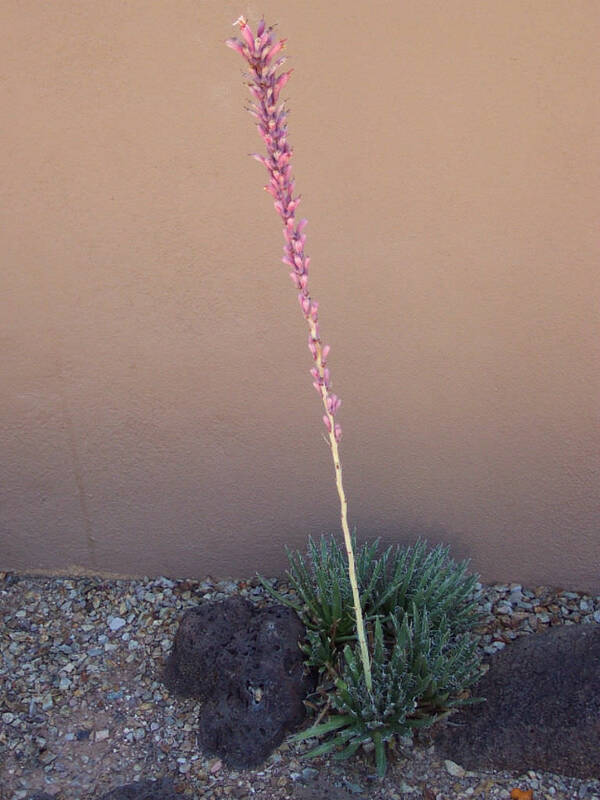 The plant produces an inflorescence up to 7 feet (2.1 m) tall with cream or pale yellow flowers in summer. 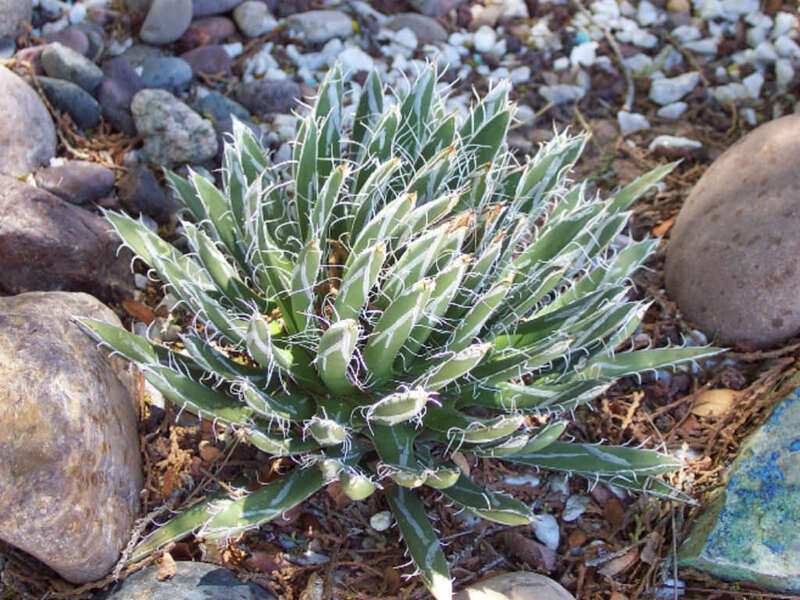 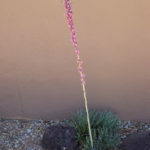 Native to Arizona in the United States and Sonora in Mexico.